We specialize in high level on-site piano services, including pianos of all types including grand, full-size uprights, studio uprights, consoles, and spinets. 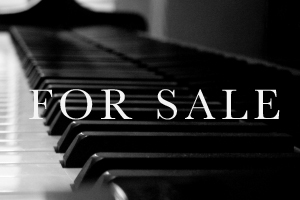 We service pianos of every make and model, including Baldwin, Bechstein, Bluthner, Bosendorfer, Boston, Estonia, Hailun, Kawai, Kimball, Mason & Hamlin, Pearl River, Petrof, Samick, Schafer & Sons, Steinway & Sons, Wurlitzer, Yamaha, and many others. We serve hundreds of our very satisfied clients in private homes, churches, universities and schools throughout Franklin and Chittenden county Vermont.